Meet the members of ITKAN! John Wilhelmi is one of our consistent members at ITKAN meetings. He is also a skilled networker and life-learner. When John doesn’t know something…he knows who to ask. ITKAN members have come to be immersed in the technology field from many paths. Some use “Falling Fruit”, others fight hard for new perspectives on education, and still others become… firefighters to trail-blaze their path. Read on! Thanks for your time, John. When did you start to develop an interest in IT? During my freshman high school year, I had to take 2 public buses that met each other at a local mall to get to the school. The morning bus schedules were synced and my transfer between the buses was immediate and arrived at the school 45 minutes prior to the first class. I spent the time in the computer lab learning about programming. The afternoon trip was different. Rather than an immediate transfer to the 2nd return bus, there was a 40 minute delay. I spent the time in the computer section of Radio Shack learning about the Tandy and IBM compatible PC’s. John Wilhelmi goes “old school” with his background of his Tandy computers! Did IT assist you in your early education? For me, writing was very difficult. When I went through grade school, such technology was non-existent. It was only in high school that you saw computers in specialized classes and teacher labs. Although in my senior year in high school, I did have the Commodore 64 in my basement lab to synthesize analog signals (DSP) and was writing equations on the Apple II to solve electronic circuitry deficits using Thevenin theorem. What is your target sector in IT? I enjoy both systems administration and software development. Currently I provide software programming support for some applications I wrote in the early 2000’s. The applications have limitations because I designed them for the LAN. Some of the users want to see the same functionality in the cloud and have access to the data on their phones and tablets. For them, I’ve been migrating the application to Salesforce. On the systems administration side, I provide IT consultancy and web design to a variety of small businesses through-out the Chicago area. How did you come across ITKAN? In 2008 I had started an IoT (Internet of Things) automation business geared towards the house of worship community. Part of the business development strategy was to join the Chicagoland Chamber of Commerce and expand out from there. Opposite of my expectations, the business collapsed and I found myself looking for a transition out of that particular market. I reached out to friends at the chamber and they directed me towards ITKAN and nAblement. What direction do you envision in the next 12-24 months in IT? People say that the desktop is being replaced by the tablet and the phone. I tend to disagree. You might have shrinkage in market share because accessibility to the immediate need of items like email, mms and applications that are portable in nature, but the creative process takes place on the desktop. I see more desktop-cloud hybrid applications being developed. The cloud is a wonderful place to slice and dice data, and distribute applications to a large variety of people. The cloud does not render engineered graphics well and has security concerns that make the public leery of its value. What’s the one thing most people don’t know about John Wilhelmi? In the late 80’s I was a volunteer firefighter and earned the Illinois State firefighters II certification. While most of my friends played sports, I was fighting fires and rescuing people. If I was to take on a municipal fire department or communications project, I do have subject matter expertise, and with briefings on how the particular organization works can implement projects with a clear understanding of its goals. Name your top 5 favorite websites and why. I enjoy learning. Since I’m not enrolled currently in any university programs, I’m updating my skill set using various on-line sources. BLS.gov – keeps me abreast of what is really happening in the economy. Channel9.msdn.com – IT is always changing, why not learn directly from Microsoft about their products. www.learnvisualstudio.net – great source to update my programming skills. 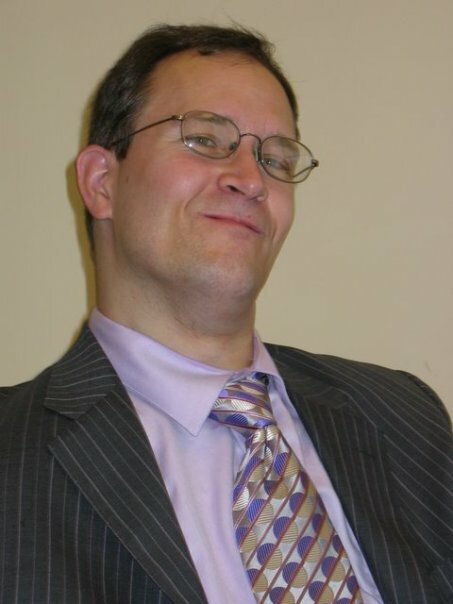 www.cbtnuggets.com – great source to update my systems administration skills. www.Youtube.com – additional learning sources. Thanks John! We hope to hear more from you at our next meeting on July 10th at the Microsoft Technology Center. Email me if you have questions. or would like to register. This entry was posted in Disability Employment, Internships, Interviews, IT Trends, ITKAN Members, News on June 27, 2014 by Bill O'Connor. The disability community in Chicago is an active one in various sectors, from advocacy and accessibility to various employment resources like AbilityLinks, nAblement and ITKAN. These three organizations have grown in myriad ways during the past ten years. One of the most interesting people – and colleagues – that I have worked with is Steve Luker. I actually first encountered Steve through an educational film entitled “The Forerunners”. The film was a collaboration between The Mind Alliance, Professor Fong Chan, and Pat Maher of nAblement. It profiles several nAblement consultants, and is intended to support students with disabilities from diverse backgrounds to consider Science, Technology, Engineering and Math (STEM) disciplines and careers. Steve was also profiled as part of a Chicago Sun-Times article related to ITKAN . Steve has been able to focus his disability workarounds and use of accessible technology into a budding career in IT, specializing in .NET programming and mobile game development. I was able to sit with Steve to discuss his background, career and views on IT. Hello Steve, we have known each other for years, but for our readers, can you tell us a little about yourself and how you came into the IT sector? I have been a Chicagoan for all of my life. I moved to the Wheaton, IL area and I am married to Michelle. I am a developer focusing on the Microsoft side of the industry. I worked on projects for BP and other large corporate clients, as well as other smaller companies. 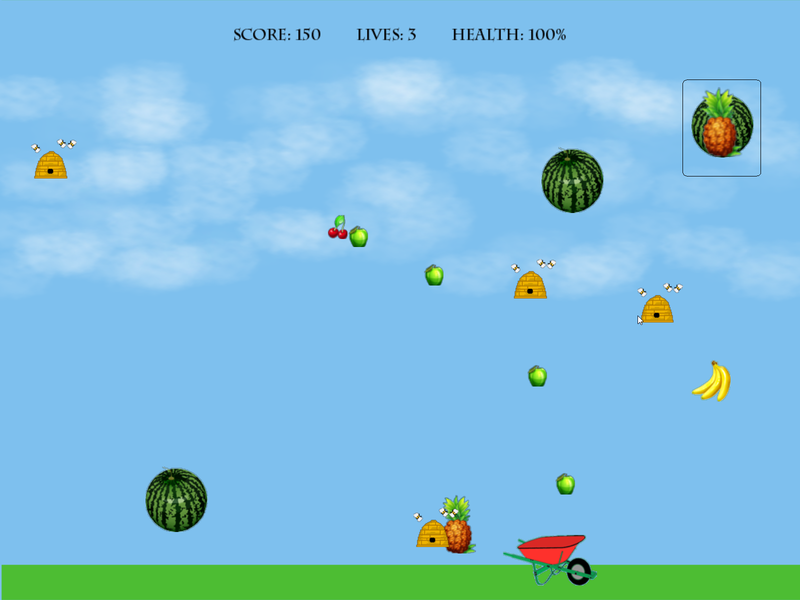 I have worked on websites and desktop applications, and am currently working on a game called “Falling Fruit”. When did you start to develop an interest in IT? As you know, technology users with disabilities sometimes have the opportunity to test out new accessibility devices. When I was a young child, a company came to my school with a computer which would make communicating with people easier. One of the challenges that my Cerebral Palsy creates is verbal communication. That was when I developed a rabid interest in IT. Everything I saw I thought, “I can do this or anything with this technology”. I started to read at age 3 so it could have been when I was 4 to 6. My disability does not allow me to speak, so I learned American Sign Language finger spelling at 5 and I was spelling every word out. What’s interesting is that I was not a good speller until I got a speech synthesizer, because I couldn’t sound out words in my head. I always found myself thinking about the possibilities that IT would bring in the future. How did you come across nAblement? In 2006, I met Pat Maher at an AbilityLinks networking breakfast at the College of DuPage. It was a few months after I got my degree in IT. He asked me to serve on a panel at Manpower’s corporate headquarters in Milwaukee for the Breaking Down Barriers program developed by nAblement. I was able to meet Rob Figliulo, the CEO of SPR Companies, and I really became more involved with nAblement and SPR. I understand that you have developed a game for the Windows Phone platform. ITKAN has seen Falling Fruit, and it’s very good (and difficult!). Can you tell us about your considerations for developing the game and challenges you have faced? I wanted to do some kind of app that would go into all of the app stores. I began thinking about how people were actually making money and what tips they gave. Instead of developing an app that people might use for a few seconds every day or two, I thought of a game that might hold people’s attention longer. That’s important when income is coming from ads or in app purchases. I know that you are registering Falling Fruit on the Windows Store for the Windows Phone operating system. As there is so much money moving with app purchases, I’m assuming this isn’t a labor of love altogether. As Microsoft, Apple and Google are making millions with their app marketplaces, what are your expectations for revenue from Falling Fruit? Well, at first, I initially thought of sit-down comedy, as there would be a lot less competition than in stand-up, but that didn’t pan out 🙂 . From there, looking at apps as a prospective business, Apple and Google app stores take 30% of each app sold. Microsoft is different in that they take 30% up to the first 25,000 of sales. Then they take 20%. That makes it more profitable if you come up with the next Angry Birds or Fruit Ninja. I don’t mind not receiving 100% of my work, because the nice thing about all of the app stores is that they do so much of the work for you. Distribution, the billing…all of the back-end work is done well by all of the app stores. However, all of the creativity is in the hands of the app designer themselves. For example, I did some of the art myself. However, I am not much of an artist, so I ask family members and friends to help me with the more involved work. After Falling Fruit is established and earning revenue on the Windows Store marketplace, my next goal is to roll it out on Google Play and Apple’s App Store. Were there any core needs that you had in developing Falling Fruit? It has to do with the processor and its ability to do virtualization. That’s when the computer creates a virtual computer. The game is being developed in a game engine so it could be exported to other platforms with a lot of code reuse. So I know .NET, but the game isn’t written in that. The game engine was key to being able to create Falling Fruit. Name your top favorite websites and why. Microsoft has news, learning resources, documentation, etc., even for a rookie programmer, and you can use Yammer to ask Microsoft programmers questions on their message boards and internal social network. Also, any Microsoft-related sites go here as well. At ITKAN we have access to BizSpark as well, which is a great developer site for Microsoft technologies offered free to not-for-profits. Thanks to Adam Hecktman of Microsoft for supporting us in securing our BizSpark license. Feedly is my personal news reader. There are many others out there that work well, but as a matter of personal taste, this is my pick. Twitter is great for following news and political discussion. You can reach out and really interact with who you are tweeting. Finally, Twit.tv is an excellent resource for programmers. What do you think of ITKAN’s progress, the upcoming year and the road ahead for the organization? I think we have come a very long way. There’s such a strong bond on technology and careers in technology. We had service providers, technologists and so on in the past, but now we develop a critiquing atmosphere where we want to be better IT geeks as well as prospective IT employees. For example, I know a little about accessibility and I know where it affects me, but now I know so much more after working with ITKAN members who have visual disabilities. I’ve learned so much more that I would have ever thought I would. Thanks Bill. See you on 13th of February at our next ITKAN meeting. This entry was posted in Accessibility & Assistive Tech, Interviews, ITKAN Members, News and tagged Bill O'Connor, disability, ITKAN, nablement, Steve luker, technology, Windows Phone on February 3, 2014 by Bill O'Connor. Many times, prospective candidates, service providers and employers ask me, “What are ITKAN meetings like? Are they formal? Laid-back?”. I can tell you that from the greenest rookie to the most grizzled veteran, ITKAN fits a need – they work on developing their skills, they meet…and even get a great opportunity. After attending these engaging meetings, we’ve really hit a groove with our Megatrends (see our previous blog post to find out more in 2013, a growing network with employers, entrepreneurs and the like, and we are constantly looking for opportunities for fellow members. Networking groups can be loose-ended or with strong ties to fellow colleagues, and ITKAN is definitely one of the best groups I’ve been involved with. I did not foresee that I would meet such a great bunch of folks who are dedicated to the the mantra of ITKAN, where we are building (and nearing) towards a goal of showcasing solid, passionate professionals that any company would be interested in hiring. It’s the tall one, and we are on the second floor. On arriving to ITKAN meetings, which are held at the Microsoft Technology Center in Chicago, I enter a work-space for us that is a collaborative environment that provides access to innovative technologies and world-class expertise. Take a peek here to see what the MTC is like, how it works and the space itself. Usually, there is always a few ITKAN members that arrive early. We network, talk about work, and talk a little bit of play as well (gaming and the Chicago Blackhawks are the conversation du jour.) After our intros, ITKAN goes to work. We discuss IT in different sectors and formats, going from general info to the most granular info that Microsoft professionals give to us. We get out around 7, but there’s always a few folks who hang around to network, have a laugh and separate until next month. Adam Hecktman, director of the Microsoft Technology Center has a room set up for us, and Pat Maher, the director of ITKAN, starts our meetings. We introduce ourselves to the group and find out a bit about new members. I’ve been working with ITKAN for over 2 years now. I started using ITKAN as a basis to build a stronger personal brand for my career as well as an opportunity to see where information technology would go next. Our gracious hosts, Microsoft and Microsoft Tech. Center in Chicago. This entry was posted in Accessibility & Assistive Tech, Consulting, IT Trends, ITKAN Members, ITKAN Mission Supporters, Megatrends on June 24, 2013 by Bill O'Connor. 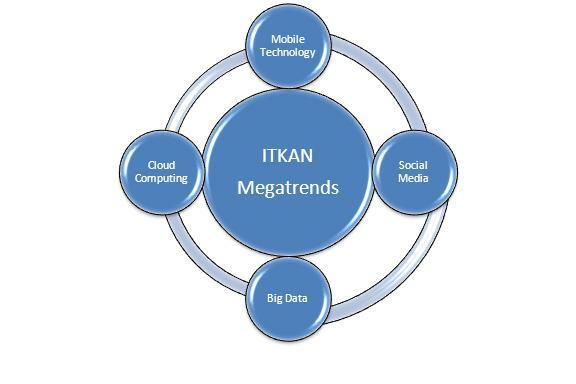 ITKAN kicked off our year of IT Megatrends in a big way at our January meeting! We began exploring mobile computing principles, products, advantages and challenges. Jeff Seagard, a senior technology architect for Microsoft, led our January meeting to start ITKAN on the Megatrends path. He will be back to drill a bit deeper in the mobile sphere for our February 14th meeting. Each topic will begin with a high-level overview, then drill down to more granular or applied knowledge, finally culminating (in the 3rd month of each quarter) with a more innovative, creative delivery for student attendees who have attended each of the previous 2 sessions on that topic. This could include an industry case study, an exercise that applies some of the knowledge delivered/gleaned from the earlier sessions, or some other innovative approach. Join us in February at the Microsoft Technology Center at 5 Pm on every 2nd Thursday of each month. Click here to reserve your spot for our second Megatrends meeting!! This entry was posted in Big Data, Cloud Computing, IT Trends, ITKAN Members, Megatrends, Mobile Technology, News, Social Media, Training and tagged Big Data, Bill O'Connor, Blasi, Cloud Computing, ITKAN, microsoft technology center, Mobile Technology, nablement, social media on January 30, 2013 by Bill O'Connor. Creative leaders in technology take different paths, but it doesn’t necessarily call for a certification or degree to achieve their goals (of course it helps speed their progress). The booming growth of the I.T. field calls across all educational parameters, including ones that wouldn’t come quickly to mind. Many people in information technology today come from fine arts, specifically in the field of music. The study of music emphasizes creativity, timing and performance, and this compliments a career in information technology very well. Ask our featured “Getting to Know” ITKAN Member, Dan TeVelde. Thanks for your time, Dan. Can you tell me how did come to the realization that IT was for you? I heard about a program to teach computer programming to the disabled. I was working at another job and felt like it wasn’t going anywhere. I had always wanted to learn how to use a computer so I took a chance on the training program. After a year the school placed me in my current job. Where do you think the information technology field will be in the next five to ten years, Dan? I think the emphasis in IT will keep shifting away from just coding to more use of communication skills. People will be working together to enhance their companies’ role in the economy. As people become more sophisticated computer users, there won’t be as much of a need for IT people to do tech support or application development. I think we will see more use of social media and mobile applications. Everyone in a company will be collaborating rather than having their own spheres of influence. People will also need to be more flexible when the priorities of a business change and must be ready to take on new roles and responsibilities. Desktop computers are disappearing and I think the same may happen to laptops. There won’t be a distinction between mobile and traditional operating systems. Everyone will be using some kind of interchangeable mobile device. As you are an employee of McDonald’s, can you offer insight on working with such a great company in regards to diversity and inclusion? McDonald’s has had a forward-thinking outlook on social responsibility. All types of employees are valued for their unique contributions to the company. There are always opportunities for any company to expand the scope of what diversity means. ITKAN has been gaining traction in various areas with its mission. What do you think about this dynamic group, and I’d love to hear your views on your participation on the new Visionary Innovation Team! I think what ITKAN is doing is great. I would like to see more participation by businesses to send people to represent their companies at our meetings. This would help connect people with jobs and other opportunities. It would also be helpful to have other technology companies involved. It’s great that Microsoft is being such a good host, and we need other tech companies like IBM, Oracle and others to participate in our meetings. As far as my involvement with the visionary team is concerned, I think there is a lot of potential to make a difference. We will need to find software developers who can work within the parameters we determined at our last meeting. It would also be helpful to have some engineers there at the meeting who could interact with us about how to develop and deploy new hardware and software. I can’t think of a time when the need has been more critical to develop better computer interfaces for the blind. This is very important and timely. Failure to do so would allow the IT field to completely pass us by and most blind people would either lose their jobs or not be able to find new ones. What are your top 5 most visited Web sites? That’s a hard question to answer but the ones I can think of now are The American Foundation for the Blind, the American Printing House for the Blind, the American Council for the Blind, Google and Facebook. You have a knowledge and love for music. Can you tell us about that and does that compliment your occupation today? I’ve always had a love of music I grew up hearing it, studied piano in grade school and high school, and majored in it in college. I was going to teach at the college level but things didn’t work out that way. I would say where music relates to what I do now is that it is part of my ministry at my church and it provides a conversation piece with people. I once had a manager who said he would recruit IT people from the music departments of colleges. There’s a relationship in how the brain handles music and also logic for IT work. I appreciate the opportunity to put myself out there and try to make a difference. This entry was posted in Accessibility & Assistive Tech, Disability Employment, Employer Spotlight, Interviews, IT Trends, ITKAN Members, News, Visionary Innovation and tagged Apple, Bill O'Connor, Blasi, disability, illinois technology association, ISP, ITKAN, Joseph, Linux, microsoft, technology on May 9, 2012 by Bill O'Connor. ITKAN’s mission is stoking the fires of passion and technology without limits for students and professionals with disabilities. The spectrum of disability ranges far and wide, and after an outstanding ITKAN monthly discussion about the creative possibilities of Microsoft’s X-Box Kinect gaming product, ideas and passion came together. The new Visionary Innovation Team will explore current and emerging technologies that can impact the lives of people with vision loss and blindness, to improve their careers and lives as well as how society views and interacts with them. Through the Team’s efforts to follow ITKAN’s mission of promoting the development of passionate technology leaders with disabilities, the Team ultimately wants to make a difference through analysis, discussions and solutions to the quandaries that they face. Led by Kathie Topel, the founder of Impact Insights and author of POWERSHIP, along with Pat Maher, the managing director of nAblement, and Adam Hecktman, the director of Microsoft Technology Center Chicago, the members of ITKAN focused on its mission of passion, exploration and knowledge of technology in another vein. Coming next week, ITKAN’s “Getting to Know” feature will focus on Dan TeVelde, an Associate Programmer (and ITKAN Visionary Team Member) at McDonald’s World Headquarters in Oakbrook, IL. This entry was posted in Accessibility & Assistive Tech, Disability Employment, ITKAN Members, News, Visionary Innovation and tagged computerworld, disability, Hecktman, impact insights, ITKAN, microsoft, microsoft technology center, nablement, passion, Pat Maher. Kathie Topel, team, technology, vision, vision innovation team on April 28, 2012 by Bill O'Connor.